In this interview we speak with the founder of the ACALM (Algorithm for Comorbidites, Associations, Length of stay and Mortality) Study Unit (UK) – Rahul Potluri – about the role big data can play in achieving personalized medicine, the development of ACALM and how this methodology could help predict cancer patient outcomes. Rahul’s unit was one of the first to use big data in healthcare and medical research and his work showed for the first time a link between high cholesterol and breast cancer. Other prominent studies include health services research, evaluating differences in death rates from weekend admission and discharge from UK hospitals. Could you provide us with a brief overview of ACALM? ACALM bore out of the frustration that data was not available for clinical research as expected and as a medical student exploring the plethora of medicine, there were so many unanswered questions that I wanted to explore further. All the research datasets at that time (2006–7) were collected painstakingly and I setup the ACALM algorithm to be able amalgamate completely anonymous, routinely collected data, which had been collected for other purposes into a large research dataset. Even large scale epidemiological studies at that time had a maximum of 100,000 patients and data was collected with tremendous resource and time implications. The first ACALM dataset had over a quarter of a million patients so the power of amalgamation was evident right from the very beginning. My key aim with ACALM is to ensure that all the data that was (and is) being collected can be utilized for research and patient benefit rather than administrative use alone. How has ACALM developed since it was first invented? The ACALM algorithm was very long and tedious work with very little reward. We toiled for long hours and had to undertake a number of steps My aim is to automate the clinical and research process into one and that’s when real change can be brought about with big data into healthcare in order to deliver the promise of personalized medicine manually due to either a lack of technology or knowledge – I am still not sure which but we learnt very quickly. We automated processes that were done manually. The initial ACALM research dataset took almost 2 years to come into full functionality. Subsequently as our processes became streamlined, it now takes us a couple of days to amalgamate a large dataset. The development process over time meant that ACALM is actually a series of codes and programs developed into one algorithm rather than one specific program. It has been an evolutionary process and I still think things can be made better. How can ACALM help with predicting patient outcomes for cancer patients? I am particularly excited about the potential for big data groups such as ACALM to answer key questions in the cardiovascular and cancer disease spectrums. I am even more excited about the potential to unearth important findings related to the effects of these conditions on each other. Cancer and cardiovascular are the most common killers in the western world and they influence each other in methods that we do not know. ACALM has undertaken significant research evaluating the role of cholesterol in various cancers and I have written extensively about this in a Future Oncology editorial titled “The Interplay between Cholesterol and Breast Cancer: Is there a potential role for Statin therapy?”. ACALM data analytics are changing the way research is performed. Traditionally in medicine we always tried to answer a pre-set hypothesis with a carefully designed study. Now we generate hypotheses from the results of big data analyses. We already have the ability to be able to evaluate the most common predictors of death, readmission to hospital, length of hospital stay etc among patients with cancer. This knowledge could and should give clinicians access to more evidence based information to relay to patients and allow them to treat patients with specific characteristics and scores differently. 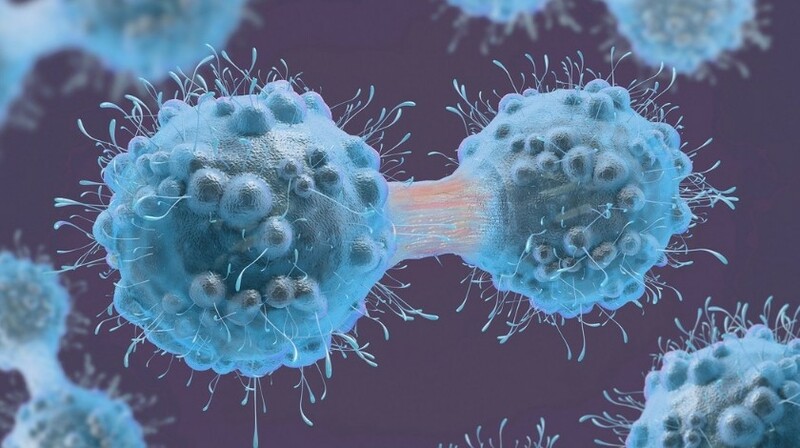 Whilst scoring systems exist in cancer patients, the ability to develop scoring systems with the millions of patients in the ACALM dataset is unique and we will be exploring this potential over the coming years. What are the most important aspects of ACALM? There are two aspects during the development ACALM that I am particularly proud of and without which we could not have grown to the extent we have. The first and most important is that an ecosystem evolved, which encouraged students and others with similar interests to utilize the ACALM datasets to answer their own research questions. Thinking back to my time as a medical student, this is particularly satisfying and one of the very reasons ACALM was setup in the first place. I made it a point to give and attend lectures promoting medical research nationally and internationally in order to encourage interested researchers to use our datasets to advance science and their careers. We found that with limitations, we had the ability to answer almost any query not only from an epidemiological view but also from a clinical, health service research and hypothesis generation perspectives as well. Some of those early adaptor students such as Paul Carter (Academic Clinical Fellow, University of Cambridge, UK) are now among the most prominent leaders of our research. The second aspect is the ability to answer questions directly relevant to patients and public interest. As a result we continue to have significant coverage in the media and our research has travelled far and wide. The ability for us to inform the public about important topics and research into these important topics such as the influence of marital status on cardiovascular disease gives me immense satisfaction. The degree to which psycho-social factors affect health has been underestimated for a long time and with ACALM we have been able to highlight these periodically. However, the media coverage is a double-edged sword and I have been criticized for undertaking too much media savvy research/too little scientific output. My view on this is simple. Why should the public not be aware of scientific advances? It may just enforce relevant changes at the patient level that endless reams of scientific journals fail to achieve, so I firmly believe fair media engagement at any opportunity is the right thing to do in medical research. More troubling from an individual aspect is that among those who have seen the media coverage have suggested that I have monetary links to pharmaceuticals – for example to promote statins. As a matter of fact, the entire methodology, coding and research undertaken by ACALM has been self-funded by myself with no input or funding from external agencies, universities, pharmaceuticals or any other entities. When the achievements and the development of ACALM are seen in this light, the possibilities to explore, seek, develop and evolve seem endless and extraordinary. Where would you like to see the field in 5-10 years? In the next 5–10 years, big data will develop to the extent that we can continuously monitor multiple aspect of life all at once. Inputs from wearable technology, laboratory tests, administrative data, family data, genetic data, social data, environmental data, nutritional data, diagnostic tests and other inputs can be married with a patient’s symptoms to deliver patient specific treatment modalities. The term “Personalized Medicine” has been thrown around for a number of years. For us to fully achieve this – the ability of big data to amalgamate and with the analytic power of machine learning and artificial intelligence to make senses of billions of data points is required. I am sure we will see this in the next 5–10 years. My ultimate dream will be able to integrate research and clinical practice into one seamless entity with advanced technology. Conceptually this is disruptive and there will be challenges ahead but that’s how medicine has evolved over time and particularly in the cancer field this will be most relevant to improve patient outcomes. When this happens, clinical practice for a patient with X cancer, would no longer be related to a previously performed study alone but their management and prognosis would be unique to themselves based on their data points. Patients and clinicians alike would welcome such a practice. What challenges are there in the field of big data and how do you think we can overcome these? Big data certainly has the ability to answer questions that cannot be answered otherwise and the potential for development in the next 5–10 years is infinite but there are a number of challenges that need to be overcome. The most important is the ability for all groups to work together with defining and open data sharing agreements. Working in silos will not allow for the promise of big data to deliver personalized medicine. However, there is significant controversy over the use of big data and fears over potential misuse of data. The growth of the field will depend on how this issue will be handled and most importantly how quickly it can be addressed – with sufficient barriers needed to prevent misuse of data but not stifle scientific research. Another big challenge is how to integrate large technology corporations into this field, which is required to fully deliver on the promise. A number of these corporations have already got the technology in place to handle big data and such processes would be cost billions without utilizing their resources. Our ability as a society to accept our data to be shared with tech giants and with the potential for misuse/hacking and perceived commercial benefits from such as actions will also have an impact on the development of this field. To find about more about ACALM make sure to read Rahul’s editorial in Future Oncology. Rahul Potluri is a British physician, Researcher, Scientist and Founder of ACALM (Algorithm for Comorbidities, Associations, Length of stay and Mortality) Study Unit, (UK). His research unit is one of the first to use big data in healthcare and medical research. His work has shown for the first time a link between high cholesterol and breast cancer. Further research has suggested the role of cholesterol and possibly statins improving the mortality in patients suffering from breast cancer, lung cancer, prostate cancer and bowel cancer. Other prominent studies include health services research evaluating differences in death rates from weekend admission and discharge from UK hospitals, ethnic variations, the role of marital status on health and the interplay between cardiovascular disease and mental health.